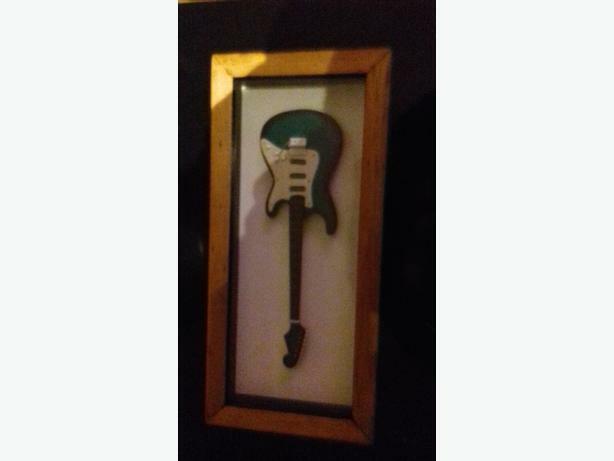 I have 4 beautiful miniature guitars in frames. made to scale of the originals. ready to hang. ideal for man cave or rock venue. £15 each or £50 for all 4. approx. 14" x 6"